5G cellular technology has been talked about since last 4-5 years. However, it may finally make way into our lives this year. It will not only boost the speed of the mobile network, energy efficiency, and connection stability but also bring down the latency, i.e., the time is taken by a network to respond. At full deployment, 5G can provide around 1Gbps download speed, i.e., 100X the current speeds. In other words, there will be no buffer time while streaming online HD videos. Last but not least, it will make the internet of things (IoT) a feasible reality. If AI-powered cameras rocked in 2018, 2019 will witness its proliferation to maps, authentication, and many more usage habits. Think of a situation when your smartphone is lost but the thief cannot log into the device because its machine learning ability identifies that there is an unusual grip on the device, which does not match with the owner. The precious details of the user will remain safe and secure. In another scenario, your connected car can take you home from anywhere, using offline navigation details saved on your smartphone. Additionally, most of your interaction with your smartphone will be voice and gesture-based, all thanks to AI assistants. In the last few years, bigger displays have been the most important differentiator for smartphones. 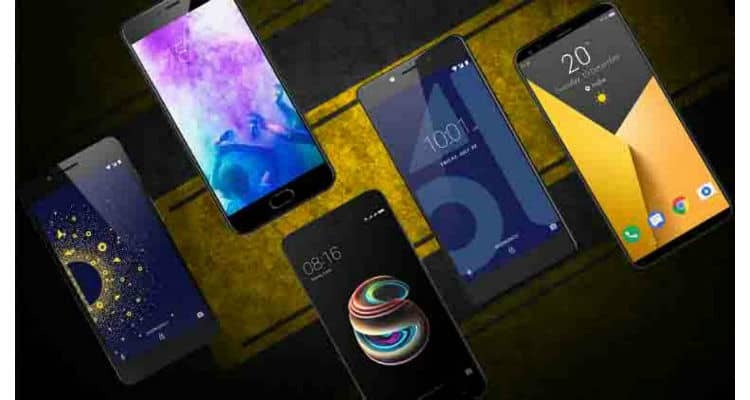 While most smartphones offer more than the 5-inch-wide display screen, the race in 2019 will be to provide 5.5-6 plus inch screen at the most affordable prices. Apart from this, the foldable screen will not be a mystery feature anymore. You can fold, twist, and turn your screen anyway to suit your sitting, walk, or lying posture. So, get set for a lot of Netflix binging on your device in the new year. In 2017, Notch became mainstream for smartphone devices. However, over a period, manufacturers realized that it consumes too much space on the screen, without much value add. In 2019, the smartphone manufacturers will attempt to cut down some precious screen real estate consumed by the Notch. Therefore, we can see a Waterdrop Notch, just a hole on the screen, or at best, complete farewell for Notch displays. Glass backs add a touch of luxury and style to smartphones. However, there was some sense of brittleness associated with it. To add some durability, smartphones have started using Shatterproof and heat resistant polycarbonate resin. However, so far, glass back featured only in top end smartphones. In 2019, we will see more mid-range smartphones offering the same. There will be increased emphasis on aesthetics, ergonomics, and user experience, which was earlier a differentiator for high-end smartphones.